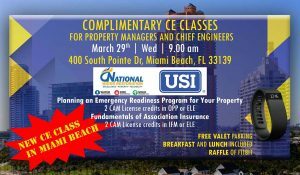 Brand New Complementary CE Class for CAM Licenses. 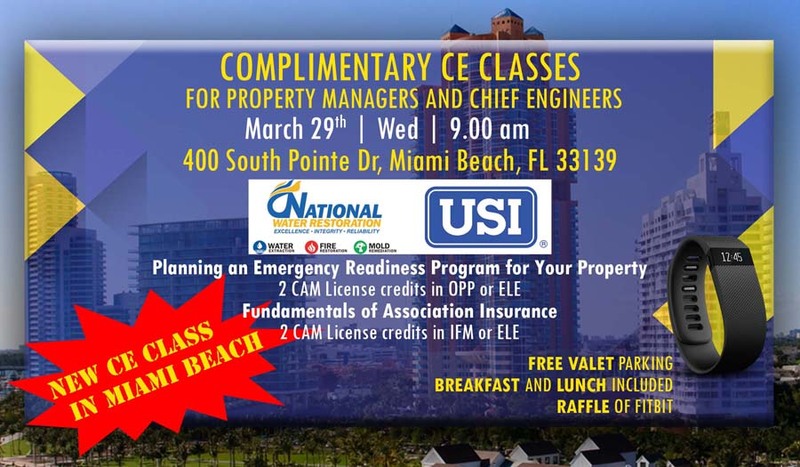 Planning an Emergency Readiness Program for Your Property. 2 credits in OPP or ELE. Fundamental of Association Insurance. 2 credits in IFM or ELE.